This is a set of posts about the Pokemon series of games – one long post for each Pokemon generation. I wanted to write about something my sons cared about – pop music doesn’t quite cut it yet. And also I had that critical itch you get when you’ve spent a long time on something, the urge to somehow recoup it through writing. And finally I wanted to do it after writing this piece. The standard line on Pokemon, it seems to me, is to concentrate on the battle mechanics and the new creatures introduced each generation and dismiss the storylines as repetitive or simplistic. In a sense they are – this is a children’s game – but there’s a richness of texture and incident in them too which often goes unremarked. So I decided to write about the games as stories and environments as much as “games”. As for the monsters, obviously I have my favourites (available on request!) but they’re the most-discussed part of the franchise. 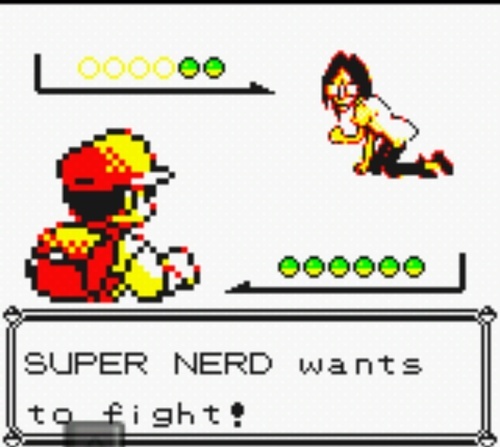 And I’ve never had the patience to get into competitive battling. I am an odd Pokemon fan. I bought my first game – Pokemon Blue – in my 20s at the start of a beach holiday, found myself hooked, then put it down when I got home without much thought. But I liked it enough that buying new games became something of a holiday ritual. The games were easy, charming and relaxing – like the holiday itself, a break from adult responsibilities. By the fourth generation, though, I played briefly and decided that was it – I’d had enough. Then, in 2011, I got Pokemon Black as a birthday present and decided to play it with my young son. He was instantly hooked, and Pokemon became a joint obsession – something we could play together, bond and battle over. Tomorrow, Pokemon X and Y come out, and the whole family – mother, father, and two kids – will be playing. As I’ve mentioned before, in another five years or so I think this family play will be pretty important to the franchise, as the first tranche of late 90s schoolyard battlers have their own kids. (By that time, of course, mine might be growing out of it) It’s certainly a reason the new games evoke the oldest ones so consciously. When I come to write about Generation IV and V I’ll be talking about the games’ attempts to come to terms with their fanbase growing up, something they’ve negotiated rather more delicately than most kids’ entertainment. Meanwhile, I’m an outlier. Which might be why writing these posts feels odder than writing about Narnia, or comics, or pop music, or any of the other childish things I’ve ended up thinking about. I hope some readers get something out of them. And thankyou, the Pokemon Company and Game Freak, for all the pleasure you’ve given me and my family over the last 15 years.